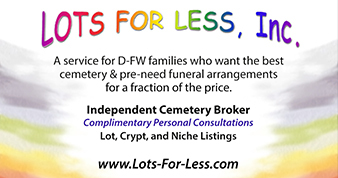 Lots for Less is a Service For Families Who Wish to Buy Cemetery Spaces at a Discounted Price! We are not just another online website that lists cemetery property and you have no idea whether the person has the legal right to sell the property! Lots for Less is an independent cemetery property broker, registered and regulated by the Texas State Department of Banking, and not affiliated with any cemetery or funeral home so you will be assisted by someone who can answer your questions without bias. We bring together families who are selling cemetery property with families who wish to buy cemetery spaces at a Discounted Price! All our listings are pre-qualified, ensuring the seller has the legal right to sell the property as documented by cemetery records you can feel safe knowing there will not be any problems with your choice if you choose to purchase the property. You will be assisted by someone who can answer your questions without bias because we are not affiliated with any cemetery or funeral home! This is a very personal decision, and we can show you many options and make suggestions and comparisons so that you feel confident about your decision. 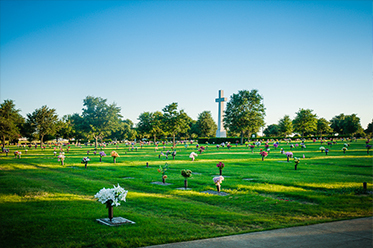 Unlike most online-only websites selling burial property, we PRE-QUALIFY EVERY LISTING to verify that the person selling the spaces has a legal right to do so as documented by cemetery records and we facilitate the transfer of ownership to assure you that the official cemetery records show you as the new owner. No surprises when you need to bury a loved one! 40 years of cemetery and funeral home experience equips us to work with you either at the time of need or on a pre-arrangement basis. Lots for Less, Inc. does not buy cemetery property. 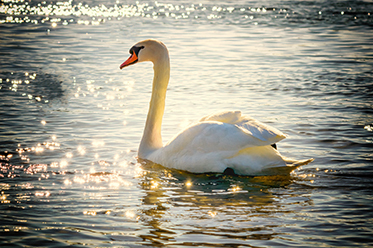 Instead we facilitate your purchase of the choicest lots, mausoleum crypts, cremation niches and cremation ground spaces for as little as half the current cemetery prices. Our listings are the choicest property because it was purchased by individuals many years ago when a family had the choice of the whole cemetery. 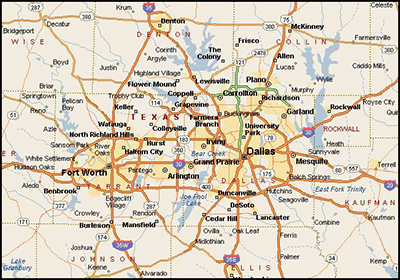 They or their heirs are now selling their property mostly because their plans have changed in favor of moving out of town, cremation, or free burial for eligible veterans at the new DFW National Cemetery in Grand Prairie. In addition, we PRE-QUALIFY EVERY LISTING to verify that the person selling the spaces has a legal right to do so as documented by cemetery records. With Lots for Less you can feel safe knowing there will not be any problems with your choice if you choose to purchase the property. Rather than making many trips to find the lots one at a time by yourself, you can spend 45 minutes to an hour on a personal tour with Lots For Less, Inc. looking at many locations at the cemetery of your choice. If you find property that you like, at a price you want to pay, Lots For Less, Inc. coordinates your purchase safely through the cemetery office. This assures that cemetery records show you as the new owner. 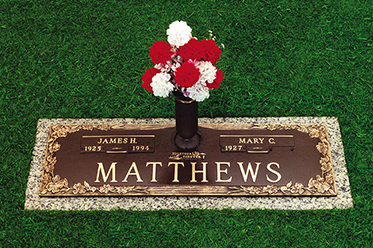 On occasion we have memorial markers available for placement in which they were originally purchased on a pre-need contract from that cemetery. Call or Email to Schedule a Complimentary Tour. at a cemetery of your choice.